Planning a Jodhpur trip this coming winter? Can’t decide the number of days, or what to do when you’re in Jodhpur. Worry not. In this post, you will get a detailed Three Day Jodhpur Travel Guide that will help you plan your trip in a jiffy. 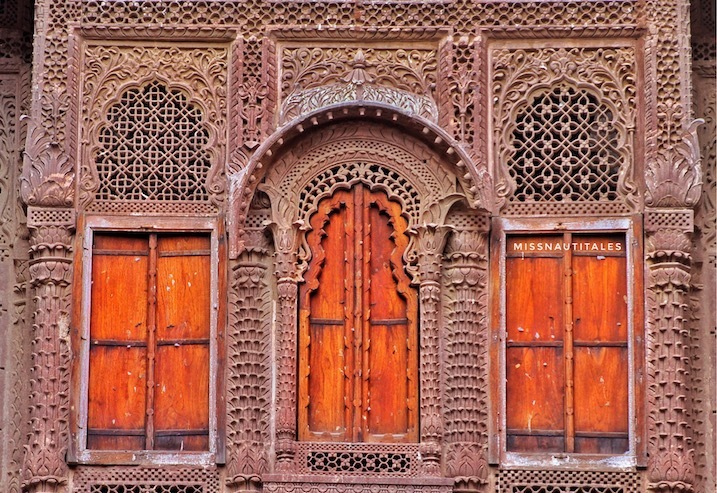 Now all you got to do is print the Three Day Jodhpur Travel Guide, and pack your bags. What does the Three Day Jodhpur Travel Guide include? P.S. You can scroll to the bottom to see a Bonus Video of Jodhpur! Now, you might ask me, is three days enough for Jodhpur? If you are planning a hop-skip-jump trip around Rajasthan, then yes. You can cover most of the top sightseeing locations within two to three days. But if you are a traveller who likes to soak in the atmosphere of the city. I would recommend you to do at least a five-day long trip to Jodhpur. You won’t get bored, I promise. I did that with my husband, and we could easily spend another week there soaking in the culture of the city. Is Jodhpur a friendly city? Absolutely. I would urge you to stay in the heart of the old blue city to fully appreciate the hospitality of the natives. They are so welcoming with a smile on their faces every time you pass someones home. The kids in the old blue city will walk up to you asking for all kinds of things. From getting their pictures clicked, to wanting some candy. It’s all super sweet and harmless. Is Jodhpur a safe city? Yes, it is. There have been little to no crimes reported in the city. Overall, people live harmoniously and pretty much mind their own business. They also know that a big chunk of employment comes from the tourism industry. It is probably one of the reasons why they take that little extra effort to make you feel comfortable in the city. I was out walking the old city lanes till late evenings checking out the local bazaars and trying out local cuisines, and it felt perfectly safe to do that. On most of the nights, we simply walked several kilometres exploring the city and walk back to our accommodation. Ok, so with that cleared out, let’s come back to the Three Day Jodhpur Travel Guide. The single most astounding structure in the whole of Jodhpur is Mehrangarh Fort. If you have just a day in Jodhpur, this is the fort you need to see. Mehrangarh stands four hundred feet above the city skyline giving one of the best views of the city. It was built somewhere in 1460 and today is one of the best-restored forts in the world. All credits have to be given to the Maharaja of Jodhpur Gaj Singh. He painstakingly ensured every corner of the fort looks just like it did originally. It’s no surprise why you will end up spending close to the whole day just admiring this fort. If you still don’t believe me, check out the Most Beautiful Pictures of Mehrangarh. Take the Audio Guide Tour. It explains beautifully every corner of the fort. It’s purpose and the story of the royals who lived in the fort. You also get to hear small snippets from the royal queen herself giving us a peek into their lives during purdah system. Mehrangarh Fort, unfortunately, doesn’t have a light and sound show. It then makes it even more useful to take the audio guide so as to learn the history of the fort. Try going early in the morning and stay till after sunset inside the property. There is a beautiful temple at the edge of the fort which has the most gorgeous sunset. People come in just to experience the sunset here. You see the chaos below you and yet, you have a sense of tranquillity which is a feeling worth experiencing. To know more about Mehrangarh Fort, check out Mehrangarh Fort’s official website. Taking a break from the Three Day Jodhpur Travel Guide, let’s look at the best travel dates and seasons to visit Jodhpur. Jodhpur is a dry city all year round. By dry city, I mean the city gets zero rainfall making it extremely hot during summers. So, the best time is during winters from November to February. Keep in mind, visiting old ancient sites is always challenging in the heat. So plan your trip during the more pleasant months of the year. If you are travelling from Delhi, just take an overnight AC Volvo Bus to Jodhpur. They are super comfortable and you reach right around daytime making it perfect use of your Day1. If you are travelling from anywhere else other Delhi NCR, air tickets are the best way to reach this city. Jet Airways and Air India operate out of Jodhpur. If you are in any of the below-mentioned cities, you will have direct flight options to Jodhpur. For all other cities, you will need to get connecting flights from Delhi. The cremation ground for the royal family of Marwar. I forgot this was a graveyard of sorts when I walked in here. It was love at first sight. Located just behind Mehrangarh Fort, Jaswant Thada welcomes you with the sight of a lovely pond called DevKund. It is home to a rich number of migratory birds. I, unfortunately, was travelling in off migratory season, so I only got to see regular birds. But it’s still a pretty sight. So, once you’re inside the compound you’re greeted with this massive marble structure with gorgeous well maintained gardens all around it. It is the perfect place to spend a couple of hours and soak in the beauty of the building’s architecture. P.S. It is the perfect location for any kind of photography. Gorgeous backdrops, lesser humans than at the fort. Plus, the authorities are pretty lenient so you can get away with spending enough time at the gardens. Mandore was the old capital city of Jodhpur before Mehrangarh Fort was built. It is a short 40-minute drive from the city. Ancient ruins, temples and cenotaphs are what you will see here. The old Mandore city has a rich history dating back to the 6th century. Mandore is believed to be the native place of Ravana’s wife, Mandodari. In the compound, they have a Ravana Temple and it is believed that till date Ravana is treated as the son in law among some local Brahmins. There is also a Hindu Temple known as the temple of 33 crore Gods, and you can see several pictures of Hindu Deities in the halls. This is one place that even some of the locals don’t know about. I went around the city asking for reviews, and most of the humans just brushed me off saying it’s not worth it. But I had faith in my Airbnb host who said this was highly recommended. So off we went to one of the most spectacular ancient sites in Jodhpur. Panch Kunda is the cenotaphs of the Royal Queens of Marwar. It houses a total of approximately 40 chattris (cenotaphs) with the biggest cenotaph being made out of 32 symmetric pillars. Another highlight of this place is cenotaphs of the handmaidens of the queens. Apparently, the most loyal and loved handmaidens got their own engravings in the same compound next to their queens. During sunset. Or sunrise. The location is quite isolated. You wouldn’t find local transport to bring you back to the city. So I would recommend hiring a cab for Mandore and Panch Kunda. Now that we have completed the itinerary of the Three Day Jodhpur Travel Guide, here are some additional information about hotels, food, and shopping. I personally have started having a preference towards booking an Airbnb instead of hotels in smaller cities. It especially makes more sense when you visit a historically relevant city like Jodhpur. You get to stay in the heart of the city which is not possible in case of hotels. Mind you, the old blue city does have its share of quirks. For instance, if you are a cleanliness freak and can’t stand dirty lanes, or cow dung around you then stick to staying outside the old city boundaries. In the older days, all the property around the Mehrangarh Fort was owned by the King. In the recent past, however, the King generously gave away the land to the residents. This has led to a completely cramped old blue city. There are narrow alleyways and you can jump from one house terrace to another. So if you are not up for that kind of charm, maybe the new Jodhpur City stay will be more suited to your liking. I think I picked 4-5 pairs from Moochi Galli. Jodhpur is the original place for Juttis. I think I picked like 3-4 pairs of juttis from here at a steal deal of INR 200 a pair. The good part about this market is you don’t need to do crazy amounts of bargaining. The people are pretty straightforward with their prices. Anything in the INR 200-250 is a good deal to go for. One thing you should know about Jodhpur Shopping is that everything is located in Sadar Market. Think Chandni Chowk shopping in Delhi or Crawford Market of Mumbai. You can ask around the locals for specific shopping categories, and most of them will be happy to give you directions. If you are holidaying in Jodhpur, you need to buy Rajasthani handicrafts. Tripolia Bazaar has everything from traditional jewellery, trinkets, marble artefacts and more at a reasonable price. I personally did not enjoy the Umaid Bhawan tour. After seeing a beauty like Mehrangarh, the palace feels a bit meh in front of it. It could be because most of the area of the palace is still the home of the Maharaja. So naturally, the best part of the palaces are shut from the public eye. The Umaid Bhawan Palace is a fairly new property. It was built in 1928 and today a part of the property is transformed into a world-class hotel. The only worthwhile bit to see here is the vintage car museum. There are a good collection of vintage cars on display just adjacent to the palace grounds. Clock Tower, on the other hand, is worth visiting. Do make it a point to walk up the clock tower and see up close how this magnificent clock works. Built in 1880, by Maharaja Sardar Singh, this clock tower sits right at the centre of Sadar Market. So the day you go shopping, you can check out this marvel. While you are at the clock tower, do meet Mohammed Iqbal. His family has been the caretaker of Ghanta-Ghar for generations. If he is in the mood, he will demonstrate what is the mechanism behind the old clock. Located in the gardens of Umed Udyan, it is a public park. However, these days, it is closed for public due to some pending renovations. This was in the early days used for performing death rituals. Hence, the name Kriya Jhalra. It is also known as Tiwari ka Jhara after Sukhdev Tiwari who was a tradesman. Stepwells by definition are wells or ponds in which the water is reached by descending a set of steps. Also known as Bawris in some scenarios. There are also other newly built stepwells like the one in Umaid heritage which was established when the residential colony was made. Note: Special credits to discover_jodhpur for providing with these valuable inputs about stepwells. Do you have any other recommendations that I should include in the Three Day Jodhpur Travel Guide? Loved your article Missnautitales 🙂 we are planning jodhpur trip this November and your article has helped me a lot to figure out all the beautiful attractions to cover.